The Eugene's sleek silhouette combines a metal rim and bridge with dark, subtle hardwoods for a timeless and refined look. The simple aesthetic complements a wide variety of face shapes, a perfect choice for anyone desiring sharp, classic style. 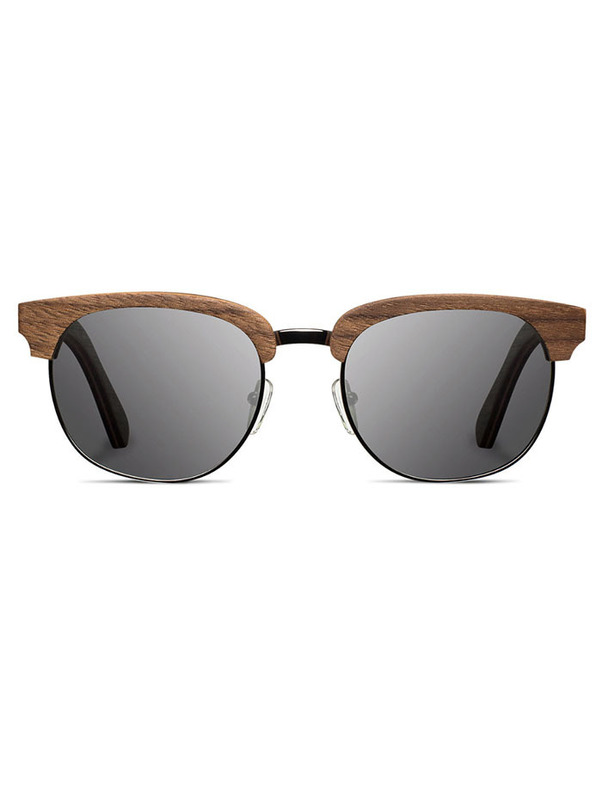 The Eugene is available with either a Grey Carl Zeiss or green G15 polarized lens. G15 lenses were originally developed for US Air Force pilots. Every pair of Shwood Select glasses comes fitted with polarized lenses and paired with a semi-hard travel case, hand sewn from premium grade leather. Available for purchase through SurfRide.